Last Wednesday, I was at guest of Tyrean Martinson’s as part of her Five Reasons to Write series. Mine involved music! Mason Canyon at Thought in Progress! Geekdom House is running a campaign over the summer called Support the Geeks. There are some great articles, features, and giveaways being posted over July and August, and they are encouraging the use of the hashtag #SupporttheGeeks to support geek creatives—content producers, actors, artists, and writers. Some people are tweeting at their favourite artists to say thanks, some are making daily blog or Facebook posts about geek stories that have changed their lives. Check out Geekdom House (and their current art giveaway) and join the fun! Drawn by Frank Frazetta, that black and white image with the downed ship on the barren planet and other ships overhead sparked an idea. I began writing and soon had a mostly complete story. I stuck it in a drawer and worked on other things and eventually forgot it. Around eight years ago, I found that crappy early story and decided to rewrite it. In 2010, it became my first published book, CassaStar. And my life has never been the same since! After the success of the last album, I wasn’t sure this one would be as tight. Fears unfounded – this is a very solid album. With the exception of the song Punchline, it’s a really heavy album from start to finish. The music is fierce and a couple songs have an almost punk edge to them. There are several standout tracks, including Joyride, Rivers, and Warhol’s Showbiz. If you dig Chevelle, you’ll love this album. They are also on tour right now and put on a great show. Max has the perfect life until his owner brings home another dog and the two get lost in New York. For whatever reason, I didn’t find this film all that funny. In fact, it had some mean-spiritedness to it. The best parts were the beginning and the ending where the pets were interacting with their owners. When the animals were on their own, it just wasn’t that engaging. It also wasn’t particularly memorable. My wife didn’t think it was a great movie, but she laughed a lot and called the film cute. There was a short before the film that involved the Minions on a quest to make money to buy a blender for juicing bananas. It was very funny. Kids and pet owners will probably enjoy this film. Everyone else, you are on your own. Mark Noce set up a Thunderclap campaign for the release of his first fantasy book, Between Two Fires. You can sign up HERE. Karen Walker is putting together an anthology on aging. If you are fifty or older, visit her blog for details on how you can contribute. I want to thank Truedessa for her poem about Aden and Tamsin, the main characters in my Dragon of the Stars. I was honored to finally see some of the fanfiction she is writing! Finally, don’t forget – Star Trek: Beyond comes out Friday, July 22! Already getting great reviews. 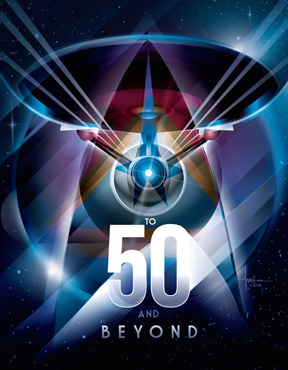 And last week, Blastr featured some amazing artwork celebrating not just Beyond, but fifty years of Star Trek. Live long and prosper! Any Chevelle fans? See Secret Life of Pets? Can you contribute to Karen’s anthology? (Sadly, I’m old enough I can.) Seeing Star Trek: Beyond this weekend? And do you have a geek story? My wife and I are taking a short vacation and I’ll be mostly offline Thursday through Saturday. I will return comments though! Good day Alex, Loved the review of The Secret Life of Pets, also I enjoyed Pat's poem about you. A lot of news. Your life certainly has changed since you dusted off that story. I enjoyed the whole series. This reinforces my thinking that we are all connected in the journey, each one a thread in the circle of life. Think of how many people you have touched through your stories. So many other doors and pathways have opened because you made a conscious decision to embrace writing. We are all blessed. You will be reading more of the short story between Aden and Tamsin. Ps - Congratulations to the winner of the playing cards they are awesome. I don't think Secret Life of Pets was well-reviewed in the paper, either. Hmm. The animation is cute, but not sure that can carry a film. Love that you remember and commemorate the inspiration for your series! Wow! What a way to start my morning, Alex. Thanks so much, I'm thrilled to have won the cards. I enjoyed your inspiration story about how CassaStar came to be. I remember seeing that layout in TV Guide. I've always been a Star Trek fan so I'm looking forward to the upcoming movie release. Thanks again for the cards. Definitely looking forward to the new Star Trek and I love Frank Frazetta's work. Always interesting to hear where other authors get their inspiration! My son saw Secret Life of Pets at a birthday party. Apparently he liked it, but he doesn't seem interested in any of the merchandise. I guess that's good. Truedessa, hopefully I've made a difference on this journey. Stacy, we always go to matinees. I definitely want to see The Secret Life of Pets although what you have to say about it makes me wonder. I'm afraid I don't understand modern poetry I am immersed in the original way of writing it. So glad you fished out your story and turned it into Cassa Star. I love CassaStar's origin story. - And that old image is great. Karen's anthology on aging will be a big project. I think I'll try to submit something and include observations from my 97-year-old mom. Being inspired by Battlestar Galactica, by the illustration... what a neat story. I've seen the trailer for Secret Life of Pets which was funny, but I know they usually take the funniest moments for the promotions. I doubt I'll be seeing. Hope you and your wife enjoy your vacation! 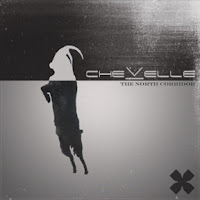 I wasn't familiar with the Chicago area alternative metal band Chevelle, so I went to YouTube and checked out the tracks you mentioned. I really like their sound, especially when they pull the trigger and go harsh and heavy. I'll probably buy The North Corridor. Thanks for the review! Enjoyed hearing how your first book started. Follow those inspirations. As a person with pets that own me, I'd probably like the movie. May see the Star Trek movie. Will check out the anthology. Have a nice mini-vacation, Alex!!!!! 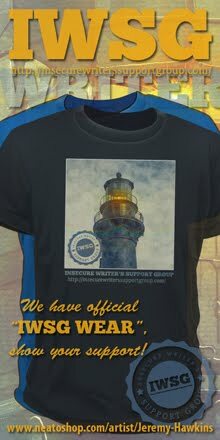 The journey sure has come far as you exploded with the IWSG bar. I'll wait and watch Life with Pets on Netflix by the sounds of it. Watch Stranger Things yet? Was great indeed. Enjoy your vacation. Thanks for sharing your inspiration and the beginning of Cassastar. Its amazing what it takes to fire the mind. I'm looking forward to seeing Star Trek Beyond on Friday. Enjoy your mini-vacation with your wife, Alex! I got a kick out of Pat's post on Mini-Alex. I'm leaving Saturday for Nova Scotia, with Terry holding down the fort at home. I'm not sure when I'll see the new Star Trek. The closest theatre from my NS home is a good 1 1/2 hours away, longer if it's foggy, and the French Shore is often foggy. But see it, I will! Take care! Sounds as though it's worth going to see The Secret Life of Pets for the Minion bit, and then leaving. Smiles. Have some relaxing time with your wife, Alex. 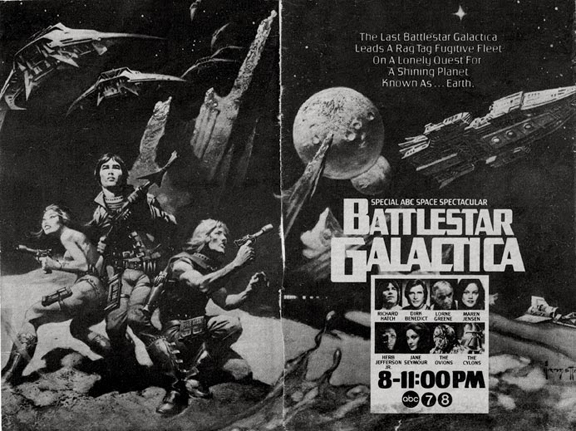 Wow, that ad for Battlestar Galactica is a blast from the past. I remember that ad! I think I cut it out and put it in my scrapbook of Star Wars and other sci fi stuff. Have to admit I got a little chill reading about your Battlestar Gallactica story! Love it! Can't wait for Star Trek!!! Oh, that's disappointing about the pet movie. Thought it might be really cute. Thanks so much for the shout out about the anthology, Alex. Have a wonderful vacation. Loved your story about what inspired your first book. It's always so interesting to see how authors get their ideas for their books, and yours is a pretty profound one. Holly, I've always dug that image. Patricia, that would be good. Madeline, that's exactly what I thought. Pat, I've watched five episodes so far - really digging it! Space Guy, I know you won't miss it. Fundy, that's a long drive. Safe travels to you! Dianne, that is too cool. Karen, hope you get a lot of people submitting. I can't seem to generate any interest in going to see the Pet movie. I thought the trailer was cute when it came out, but that's all I have. I hope you have a nice time away! Pat's poem was funny. I'm looking forward to Star Trek and I loved that first Battlestar Galactica. It was the beginning of my love for the genre. Enjoy your time away. I remember that TV Guide image. Sure did make me want to see it. Congrats to Mason! Ah no! I hoped the Secret Life of Pets would be funny. I hate movies with animals and mean-spiritedness. I didn't enjoy Happy Feet for exactly that reason. They were mean to Mumble. Enjoy the holiday. That is so cool that a story you wrote as a teen, you rewrote, and then it became such a hit. What an incredible success story and inspiration to all writers. Frank Frazetta is an excellent artist and I remember this TV guide well. 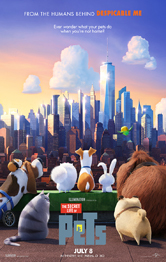 I want to see the Pets movie but will wait for DVD. Do you mean regular Geek?? I was a kid who loved classical music, old movies and knew old movie stars, read many books and loved art and the great artists. I'm not sure if I was a geek or a freak. I now take that role with honour! I'm probably more of a nerd than a geek, though apparently it's a geek thing to have special hobbies and collect things. It's never too late to resurrect an old manuscript! I like to think it just wasn't the right time yet if we didn't succeed in publishing it the first time around. Hi Alex, I wanted to see The Secret Life of Pets, but after your review I'll give it a miss. Reading that fan fiction must have been amazing, isn't it? Hi Alex … Congratulations to Mason; so glad you dusted off what you thought was your moribund story – life changing – oh yes … but thankfully we’re around too – as you help so much. I remember that TV Guide ad. I'm looking forward to Star Trek Beyond. Love the story about what inspired you to write your first book!!! I'm glad you told us about The Secret Life of Pets. I was going to take my nieces to see it, but I might choose another movie. Already supported Mark with Thunderclap. And saw your post on Tyrean's blog. Andrew, that's pretty much all there is. Heather, you need to do something fun then! Yeahhh, I thought that Pets movie looked sketchy from the previews. Thanks for the review - will definitely skip it. Who knew that awesome poster could change a life. Glad you brought Cassa out of the drawer. Have a fun trip, you two!! Enjoyed reading about the inspiration for your first story. Hope you have a great vacation. Great to hear about your writing origins, Alex! Looking forward to Secret Life of Pets and Star Trek! That's so cool how CassaStar began. I have a crappy old first story gathering dust somewhere, but I think that's TOO crappy to resurrect. I loved Chevelle when they first came out. I didn't know they were still churning out music. Going to have to check that album out. Also, the MST3K Reunion Show was gut-bustingly hilarious. Caught a re-showing last week and it was phenomenal. I need to see more of those Rifftrax showings in theaters. I remember that TV guide ad. Heck, I remember TV Guide. Great story. Amazing how a black and white image can change the direction of a life. I love stories like that. Pat's poem on mini-Alex was funny. Friends have called Secret Life "cute" and five year olds seem to enjoy it. I doubt I will see it. I plan on Ghostbusters, Star Trek, et al. It's been a weak summer. Have you caught "Stranger Things" on Netflix? Decent short binge with Winona Ryder - she's good. Enjoy your break and have fun!!! Ghostbusters, as Joanne said! Yay for that one! Have a nice, short vacation. Sometimes they are the best kind, it seems to me, because they lighten the burden the returning to daily life. PS:I may not be a geek but I sure as heck am a NERD! Jennifer, fat cats do like to eat. Brandon and Bryan, awesome you caught the snow! The next one is in August - Mothra. Promises to be epic. DL, your comment made me chuckle. Joanne, yes I have! Good show. I have that Frazetta image in a fantasy art book, but it's in color. I really like Frazetta's work. Hope you both have a fantastic vacation. How funny that that's where CassaStar came from. It goes to show how important things like that are for burgeoning writers. No Star Trek Beyond for me. I love Star Trek, I really do, but I can't stand those movies. I'm too young to contribute to Karen's anthology, but I hope she gets a lot of contributors and the project is a massive success! It's a great idea. I can't wait for Star Trek Beyond! Love Frank Frazetta. I can see how his art inspired you to write. I am so glad that you let your inner geek run free. And you, and we, have been rewarded generously. Off to visit Karen now. I have not heard good thing about The Secret Life of Pets. A lot of animation can be hit or miss. Star Trek was my geekdom realm. Looks like the latest installment should be good. Checking out the aging anthology so. As I meet the minimum age requirements! Thanks for the reviews! My family and I are definitely going to see Star Trek this weekend! Live Long and Prosper! How scifi changed my life: I watched BattleStar Galactica with my parents and grandparents, my mom named her dog Muffet. Despite that and numerous episode repeat watches of Star Trek, the original show, watching Star Wars in the theater and seeing Princess Leia take the blaster into her own hands really opened up my imagination. I have always wanted to write about scruffy scoundrels who are really heroes in disguise and princess type characters who can take charge of their own rescues. And yes, I liked the lightsabers, too, but Han and Leia's character development was a highlight for me. We saw Pets with our 10 and 12 year old gr-daughters, and they enjoyed it, laughed, as did much of the audience. We found it fun and entertaining. Intriguing story about how you started writing. It's amazing how just one image or thought can spark a whole story like that. Blastr's article was wonderful. Shared it on my FB author page. Patt's poem was hilarious! I'm not a pet owner and I loved The Secret Life of Pets. Sorry it did not impress you much Alex. Geeks unite! Supported Mark through thunderclap. Definitely plan to see Star Trek Beyond and God Bless Alex. The TV show, Lost In Space, got its hooks in me way back when and I've loved sci-fi ever since. I was going to see the Secret Life of Pets but now I might wait till it's on TV. But a friend raved to me about Our Kind of Traitor and I love John le Carre (the author) stories, so I'll catch that one instead. How cool that you wrote something in teenage that led to such success! No, beyond cool. I am totally old enough to contribute to any antho on ageing :) :( but things are just insane right now and won't improve till the deadline's past. 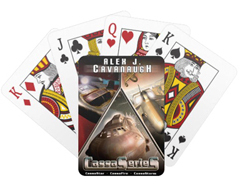 Interest and dedication certainly are prime prerequisites in the success of your Cassa series, Alex. It has to take so many years from teen days to make it happen. Seen and enjoyed Toy Story before. Would certainly give Secret Life of Pets a peek. I love that you came back to your story all those years later..."and the rest is history!" I had never heard of the group Chevelle, so thanks for posting about them. Now I will check them out. There are so many things about your blog posting that i could say but what I want to say is that I like your variety, especially your movie review posts. Living so far from the stream of new movies that come out, I depend on your reviews and the reviews of a couple of other bloggers to keep me up to date, so I can go see them when they show the English language versions here in Germany. Cherie, it might take that. Tyrean, I wonder how many dogs during that time were named Muffet? Susan, my wife thought it was funny. Pat, I will keep posting them! Look for the Star Trek review next week. I qualify for Karen's anthology. It sounds interesting. Enjoy your 3-day vacation, Alex! #SupporttheGeeks sounds cool. I'll have to jump on that. Haven't seen Secret Life of Pets yet. It may be a rental, but I'll likely see it one day. I'm excited about Star Trek, but I'll wait for opening weekend to pass before venturing out to see it. Being a subject for a poem and fan fiction is very cool. Congrats! And Yay Pat and True. My kids want to see The Secret Life of Pets, but I hope to hold them off until a Redbox release. I can't contribute to Karen's anthology, but that birthday isn't all that far off in the future. Geek Story: I was in love with the show The Land of the Lost and would pretend to be in that world all the time as a little kid. Our staircase made a great "waterfall". I enjoyed your story about Battlestar Gallactica and how the art helped inspire your writing. Isn't it funny that even if it takes a long time, the love love reading and writing will find its way to the surface. I've seen trailers for the pet one. It did seem mean-spirited. I'll consider watching when it comes on TV. (Finally Guardians of the Galaxy came on TV over here about a week ago. I LOVED it!) Enjoy the new ST movie! I never watched Battlestar Galactica, but I did watch Buck Rogers, which was very clearly a ripoff! It didn't inspire any great stories, though. I think I probably was more inspired by shows like The Facts of Life! dude. we cant wait to see secret life of pets...it played at the drive in right when i got back in country...so we missed it. pretty cool story of your first story becoming your first novel. def speaks to hanging on to those old stories. thanks for dropping in. i will def be by when i am online. I shall watch The secret life fe of pets now. Congrats to Mason. There are certain shows that stick in my head as inspirations in my early writing career. I remember enjoying Battlestar Galactica. Interesting, I always thought you were much younger than me, but I guess not. I could too so I will go and have a look. Congrats to Mason. I entered, but figured it was probably US only. As for The Secret Life of Pets, I was considering it, but I think I will wait until it's on TV. One day you'll want to write your biography and tell us once again how a crappy early story can become a hit. Come to think of it... Did the heck did you do that? We probably won't be seeing The Secret Life of Pets, but wild dragons couldn't keep us from seeing the Star Trek movie. Enjoy your vacation. Tamara, I used to watch that show. Stephanie, but a fun ripoff. And technically, it was around decades before Battlestar. Rhonda, I am definitely past the half-century mark. I hope you and your wife have/had a great time away. I enjoyed reading the origin of your story. So what exactly was mean-spirited about the life of pets. Don't worry about spoilers, I'll unlikely see the film. As for Star Trek. I think this is one film I will see in the theatre. I'm very much looking forward to it. I can't wait. Congratulations to Pamela at Mason Canyon. Thanks for The Secret Life of Pets review. Good to know. Cant wait to see the new Jason Bourne film. Looking forward to your review because you'll probably see it before me. I am really looking forward to the new Star Trek movie. Hope you have a good break. Enjoy your vacation! I'm not quite old enough, yet, to contribute to the aging anthology, but I'm close! It's a hot day here in MN. I've decided to escape with a good book. We were at the theater yesterday to see Finding Dory, or Buscando a Dori which is what we saw since it was all in Spanish, and they showed the previews for the pets film. It looked cute, we'll probably see it at a discount matinee. "Around eight years ago, I found that crappy early story and decided to rewrite it. In 2010, it became my first published book, CassaStar." Definitely looking forward to the Star Trek movie. Not so much the Pets movie. That's a great geek story about the Battlestar Galactica photo. I loved that TV series. Congrats to Mason Canyon! Have a great vacation! I found "The Secret Lives of Pets" to be incredibly hilarious. Saw the movie while on vaca (got the tickets dirt cheap 'cause the attendant charged me the senior citizen's rate even though I'm 51), so it was well worth putting up with little childrens in a theatre on a Saturday night. Now you really got me intrigued about your first book (got it, but sadly haven't cracked it open. Yet). This may be the month that I'll finally crack it open to see what I've been missing. Jeffrey, Max and Duke were mean to each other and there was a whole gang of animals who wanted to take down humans. Karen, don't spend the big bucks. No pet movies for me. Probably won't be watching any movies until I get home. Hope you have as good of a vacation time as we are having. My son enjoyed Secret Life of Pets. He liked the bunny. I didn't. I definitely preferred Zootopia over this one. As for the new Star Wars movie - that's totally big screen material. Can't wait (though I'll have to as hubs is away for two weeks). Wanna check out Chevelle. And have a wonderfully relaxing break! Saw "Star Trek Beyond" on Friday. Fantastic movie. Not as good as "Wrath of Khan" (that may be a youthful prejudice, though), but I would put it on the same level as "First Contact." Easily the best of the three reboots. Oooh, Geekdom House is an awesome site, thanks for pointing us to it! Just got back from over a month of traveling, sorry I've been away, I see I have a lot to catch up. Hope the summer is treating you well so far! Oooh, and thank you for including the link to my blog in the NINJA army, you rock Alex, thanks so much!! Sounds like I should just wait until "Pets" hits theaters. Or just watch the Minions short. Awesome geek story! Yay for geeks! I felt the same way about the Pets movie. I expected it to be a lot better than it was. My six-year-old liked it. We watched Goosebumps last night. I enjoyed that more and hadn't expected to. Enjoy your vacation! I'm still trying to catch up from my family visit. Wish I'd known about #SupportTheGeeks, seems like a great and interesting thing. >_< This is what I get for not spending enough time checking on blog stuff. Bah. I'm shocked that you are over 50. For some reason, I'd pictured a guy in his late 20s. :) Don't ask me why! Sad to hear Secret Life of Pets is a letdown. It looked cute. I was hoping for another Zootopia. My mom took the BOY to see Secret Life of Pets. She concurred with you. She said the animals hit each other a lot. The BOY says he liked the movie, but he isn't talking about it non-stop like he does with movies he really likes. That's why I sent her. We got Kung Fu Panda 3 from the library and I thought that was pretty cute.